Is your roof streaked with grime? Is the siding color turning dull or are there rust stains on the house? Does your deck look weathered or is your driveway sporting oil stains? 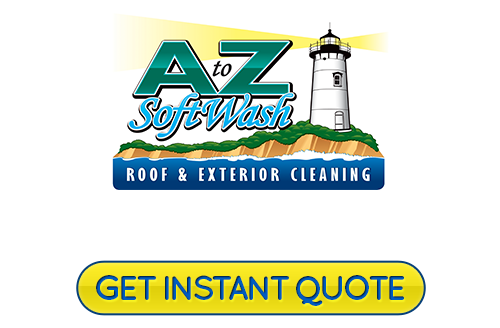 A to Z Softwash can take care of all these issues and more. 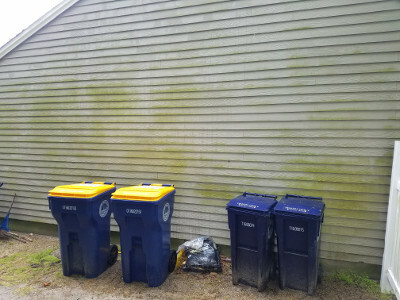 With our years of hands-on roof cleaning and exterior pressure washing experience in Massachusetts, we know what techniques to use to get these surfaces looking great without hurting the materials. We use the right cleaning methods to take care of your house washing in Centerville. You are going to love how beautiful your home looks when we are through cleaning the exterior! Call today for safe and effective exterior cleaning services. Our staff would be happy to answer your questions and help you with anything you need. Your roof is the prime example of a surface that requires proper cleaning or it can easily get damaged. Harsh pressure washing will remove the grime and stains but causes damage. By entrusting our reputable professionals for your Centerville roof cleaning, there is no doubt you will be beyond satisfied with the results we provide for you. 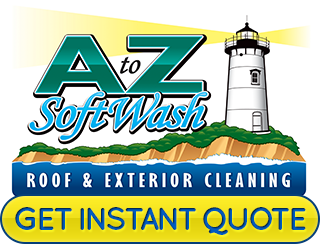 When quality matters, as it always will, give A to Z Softwash a call. In order to get the level of clean necessary for the exterior of your home, you may think that high-pressure water jetting or harsh chemicals are the answer. Be aware that these techniques will cause pitting and cracking for most of your home's building materials including concrete. Older brick is especially vulnerable to this type of treatment. This is exactly why you will be making the wisest decision to work with our experts at A to Z Softwash. We never damage your home's building materials yet still provide you with a superior cleaning service. We can clean anything including the gutters, deck, fences, tile, and windows. Put your home's exterior cleaning needs in our hands today! If you are looking for a Centerville, MA roof cleaning and exterior soft washing expert, then please call 508-209-7795 or complete our online request form.